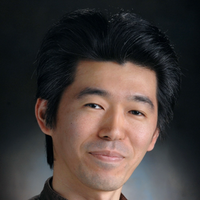 Takeharu Sekiguchi is a researcher at the Keio Quantum Computing Center. He graduated from the University of Tokyo with an undergraduate degree in Physics (1995) and received his M.S. (1997) and Ph.D. (2000) from the same university, for experimental research on atomic structures and electronic properties of semiconductor surfaces controlled by metal atom adsorption. Since 2000 he has worked for National Institute for Materials Science to develop organic molecular devices based on nanophotonics. Afterwards his research has focused on isotopic effects in silicon toward spin-based quantum information processing. In 2002 he joined Keio University to create a nuclear-spin qubit device based on molecular beam epitaxy with atomic control of silicon surface. In 2008 he moved to Simon Fraser University in Canada for a study on isotopically resolved photoluminescence of various impurity centers in silicon. In 2010 he returned to Keio for magnetic resonance studies on electron and nuclear spins in silicon. His research has been extended to biological application of quantum sensors utilizing NV center in diamond while he was working for Kyoto University and Osaka University. Dr. Sekiguchi is currently a Project Associate Professor at the Graduate School of Science and Technology, Keio University.